Another topper for you - hope you aren't getting bored with them !! I would really appreciate a comment if you download the file. How could we be bored with your designs? they are always a Special Treat :). Thank you. Me again forgot to say I love how you have used it on your card. Boring, you must be joking, each one is a delight. 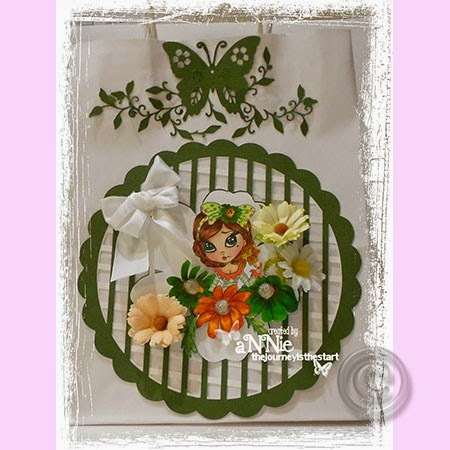 Lovely card; the topper made a great background for the digi and flowers. 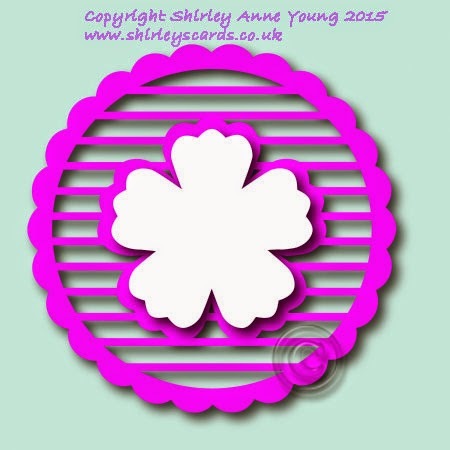 Shirley - your cards are never boring! I love seeing how you create a beautiful card every time! Thank you!!! Ennuyer certainement pas, bien au contraire c'est un plaisir. Merci pour ce gentil partage. Thank you. This is a great topper - stunning and unique. I could never be bored with your lovely designs. Thank you so much for the freebie, I love your files so thank you again. Thank you - will be very interesting on a card - can't wait to use it! lovely, thanks for sharing your work. Thank you for sharing your wonderful talent with us.... love the files with bunnies! Thanks for the svg files, so nice of you to share.